The Borg were a fearsome adversary introduced in Star Trek: The Next Generation. With a collective hive mind, they assimilated entire worlds, stealing their technology and enslaving the population to serve as drones. Able to adapt to and neutralize any defense thrown up by their victims, the Borg were relentless. While much has been written about the Borg, here are some little known facts about them. Earth's first Borg was Earnest Borgnine. His name should have given him away, but he looked human and was very likable. A very distant descendant of his was Annika Hansen, better known as Seven of Nine. Earth did eventually succeed in capturing and containing the Borg. 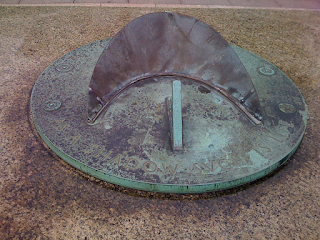 Below is a monument to this achievement. 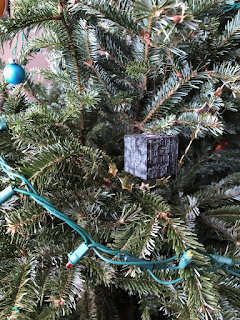 And turning the tables, we see Christmas has assimilated the Borg. After reviewing some books I considered classics¹, I wondered what tomes were popular nowadays. 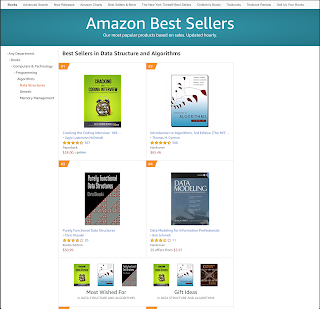 I was disappointed to learn the #1 best seller on Amazon, in the category of data structure and algorithms, was Cracking the Coding Interview. Was this a direct result of raising students on "teaching to the test?" Were companies so confused about hiring, they needed to administer a programming puzzle to find a suitable candidate? The reviews ranked Cracking the Coding Interview highly, and the contents were substantive, not fluff. 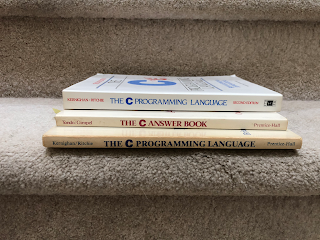 Yet, glancing over to my bookshelf, I would want candidates to be acquainted with titles like these: More Programming Pearls by Jon Bentley, The Cathedral & The Bazaar by Eric S. Raymond, Algorithms in C by Robert Sedgewick, and a classic-to-be, Joel On Software by Joel Spolsky. While not a book, it is a classic. 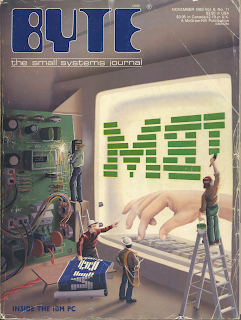 Published November 1983 with 720 pages, the magazine featured articles describing the innards of the IBM Personal Computer. The clever cover art shown here was created by Robert Tinney. 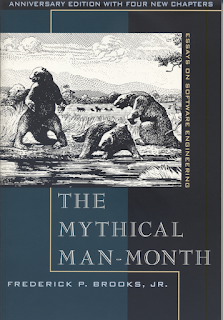 Byte's Robert Tinney era spanned from the mid-70s to 1990, and his covers showed an uncommon thoughtfulness. Think vinyl record album sleeves of the day, where the artwork could have meanings on multiple levels. 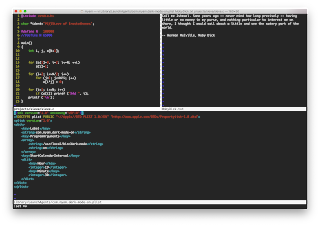 Having already written about hardware tools, this post examines one of my favorite software tools, namely vi (aka vim ). I've chosen the photo essay format, because vi, like a clever joke, an amazing magic trick, or a masterpiece of art, is ruined if you try to explain it. My first job had me programming in Microsoft BASIC for the IBM PC (DOS). BASIC worked well enough, but its limitations were clear. The language was interpreted and therefore slow. More importantly, it wasn't a modern structured language, and instead, relied on line numbers and the GOTO statement. Anyone who has read Dijkstra knew GOTO was a bad thing. Having learned a structured language in college (PL/I), using BASIC felt unnatural. 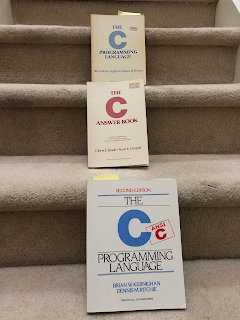 When a C compiler became available for the PC, I saw a chance to improve and modernize our software. The problem was selling the idea -- a problem made harder because I wasn't fluent in C.
"It would be a staffing problem. Not many people know C, but we can find a lot of programmers who know BASIC," noted one manager. The argument was strong as my knowledge of C was weak. 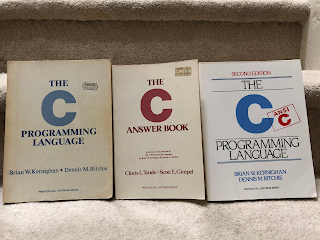 But I knew that C, by design, was a small language and thus easy to learn. 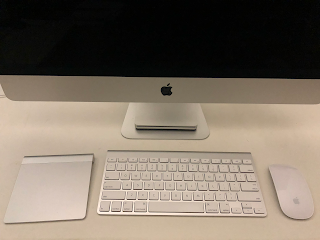 "It has about 30 keywords," I proffered to another manager. 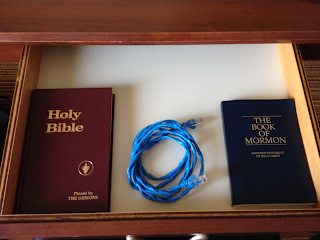 What do Hot Wheels, the XO Laptop, and Mozart's Nachtmusik have in common? Each one appeals to the beginner and opens the door to something more complex. There is a way of thought in Zen Buddhism referred to as "Beginner's Mind." Approach activities with the mind of a beginner, even routine things such as eating. That's because "In the Beginner's Mind there are many possibilities. In the expert's mind there are few." Mozart's Nachtmusik is a popular introduction for those new to classical music, whether as a listener or as a budding musician. Listen to the clip above and you will understand better than any words I can write. 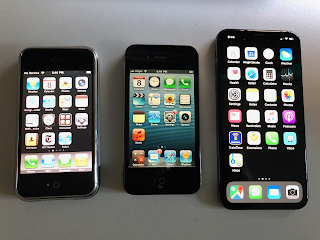 Current iPhones are just too large. I saw one -- an iPhone 6 perhaps -- squeezing out from the front pocket of a young woman's stretch jeans. With each step she took, the iPhone slid a little further out. But she couldn't save it as her arms were full with two trays of sheet cake. Walking past her, I made eye contact, and then looked down to her pocket. She smiled and asked, "Could you?..." I gently pushed the phone back into her pocket. She thanked me and I continued on my way. When I recount this tale, the guys would, in mock frustration, say "Mike, what's the problem? Why are you complaining that phones are too big? Did you at least get her number?" It dawned on me during breakfast. 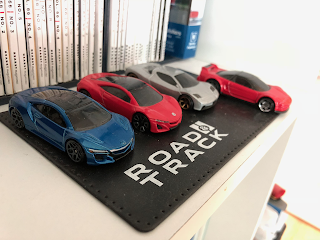 Coaster sets come in various containers and as I stared at this particular empty holder, I realized it could be used to hold my iPhone. 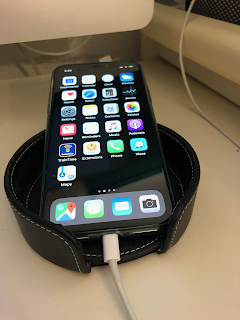 It props your phone up a bit, and there's a convenient opening to channel your recharging cable. And what of the coasters it once held? Without a home, they are coasting around the dining table.